Way back when I was in college, I was introduced to a beautiful book called “The Prophet” by Khalil Gibran. It became “one of those precious books” and a mainstay in our family. My mother always had a copy by her bed and we asked our uncle to read a passage from the book at her funeral, which he did. 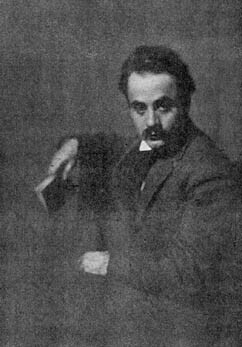 Khalil Gibran was a Lebanese-American artist, poet and writer, who wrote many books, but “The Prophet” is perhaps his best known. It has been translated into more than forty languages and was one of the best-selling books of the twentieth century in the U.S.
A Capricorn, born January 6th, 1883 in Northern Lebanon, Khalil Gibran received no formal schooling as a child due to the family’s poverty, so he learned about the Bible and the Arabic and Syriac languages from the visiting Catholic priests. His father was a gambler, unable to pay his debts and was later imprisoned for embezzlement, so Gibran’s mother decided to follow her brother and emigrated with her children to New York in 1895. They settled in Boston where Khalil learned English and Art. Through his teachers he was introduced to avant-garde Boston artist, photographer and publisher Fred Holland Day, who subsequently encouraged and supported Khalil in his creative endeavors. The first exhibition of his drawings was held at Day’s studio, at which he met Mary Elizabeth Haskell, a respected headmistress, who then became an important and perhaps his closest ”Spiritually intimate” friend until he died in 1931 in New York City. So before I forget, here is this month’s quote, taken from what else, “The Prophet.” And in keeping with this month’s theme, the sign of Capricorn is connected to and concerned with “control.” They are the ones who “enforce the laws” of society – J. Edgar Hoover, the first director of the FBI was a Capricorn, for example, born January 1st, 1895. Interesting to note that Sagittarius writes the laws, Capricorn enforces them, and then Aquarius breaks them! So our quote comes from the section in the book where he talks about “Laws” – and I get the impression that he’s telling Capricorn to ease up on the control!